James says the Columbus job would be an intriguing professional challenge. Akron Public Schools Superintendent David James is a finalist to take over the largest public school district in the state. At his annual state of the schools address today, he told his Akron audience he is intrigued by the professional challenge that would come with taking over Columbus City Schools. 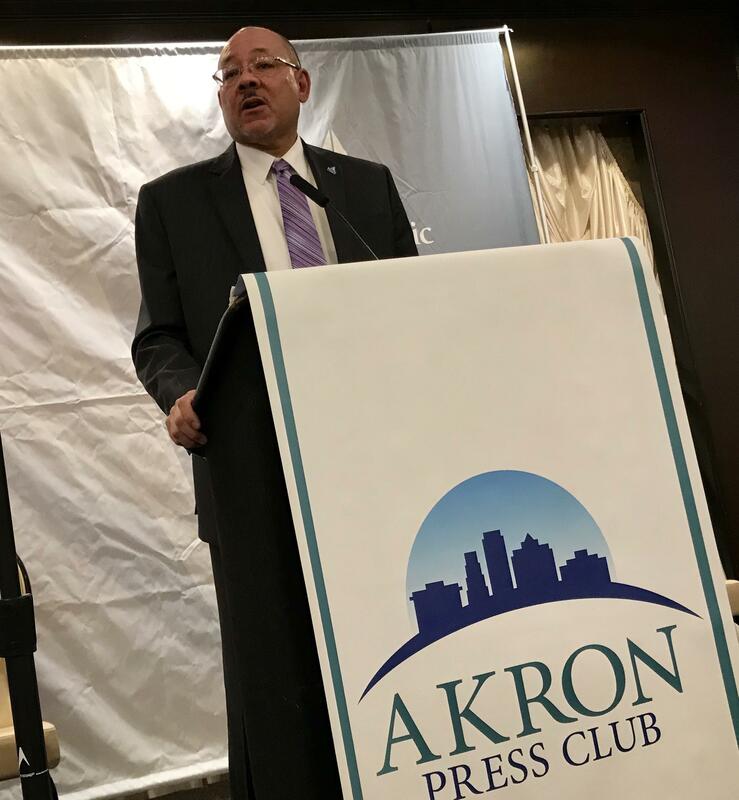 After the address, he said he thinks Akron has already tackled some of the tough issues Columbus will face, including right-sizing the district and turning adult education over to other institutions so the district can focus resources on pre-kindergarten to 12th grades. James noted that Columbus has not yet made its decision, but said he’d have to seriously consider it if Columbus made an offer. The often buttoned-down superintendent of Akron City Schools let loose when he contrasted the financial and academic standards applied to traditional public schools and charter schools. WKSU’s M.L. Schultze has more from today’s State of the Schools address. The Akron Board of Education is forming a special committee to determine how to respond to teacher complaints that students who physically and verbally assault teachers are not being appropriately disciplined. More than a hundred teachers and other Akron Public School employees protested for about an hour before last night’s board of education meeting. Akron Education Association President Pat Shipe then took their argument inside. An Akron public school teacher is starting a project inspired by a Facebook post to benefit students’ self-esteem. Glover Community Learning Center will be implementing the “I AM” Wall, which will include a wall of mirrors with encouraging quotes. Julie Paulus says her elementary school is focusing on social and emotional learning this year.